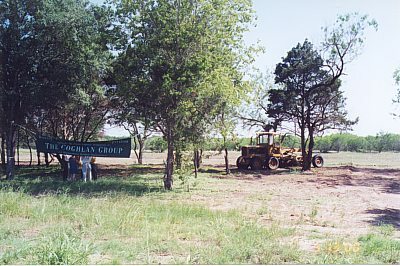 The Bastrop Economic Development Corporation Industrial Park in Bastrop, Texas (May 2000). 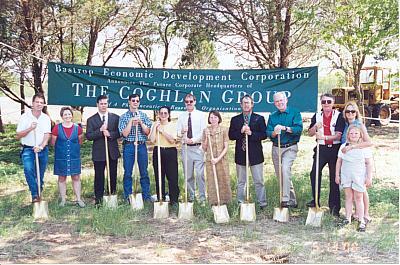 Ground breaking for the Coghlan Group, newest landowner in the Bastrop Economic Development Park was recently done. The company plans to start a phase one 8,000 sq. ft. research and warehouse facility immediately. The company is a leading contract research organization serving as a vital link in the process of bringing new products to market for the pharmaceutical, biotechnology and medical devices industries. Owners are Lezlee and Terry Coghlan. Another view of the Construction site for the new Coghlan Group Research facility.